“Root Canal” It’s a phrase that brings anxiety into the hearts of dental patients around the nation. The thought of the dental work or of lying in the chair, unable to move for a couple hours really upsets some people. But chances are, if you need a root canal, you’ll actually feel relief when the time comes to have it. A root canal is needed when there is an infection or abscess in the root of a tooth. This is usually caused when a cavity goes untreated for a lengthy period of time and the decay eats into the nerve, causing it to become infected. An infected tooth can cause an extreme amount of pain, fever, and even heart complications. You may feel a lump on your gum near the painful tooth, or have remarkably foul breath. Chewing may become impossible on the bad side. If left long enough, the pain will keep you from thinking, from sleeping, from doing anything besides hurt. 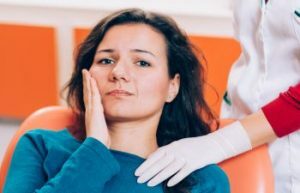 As soon as your Dunwoody Family & Cosmetic Dentistry dentist discovers you need root canal therapy, you need to make your treatment appointment as early as possible. In the meantime, we will most likely prescribe a round of strong antibiotics to clear the infection, which will in turn reduce your pain. The procedure can be done with local anesthetic only, or with a sedative if you need one. Your comfort is a priority to us. If a painful tooth has been bothering you, contact our office in Dunwoody, Georgia for an emergency appointment. Help! My Filling Fell Out!Get Your Smile On- Literally!